Easter is almost here, and it is time to prepare our homes for the upcoming family gatherings. Even if you are not hosting this years party, you still need to tidy the house, so why not follow our advice for the perfect spring speed cleaning session? 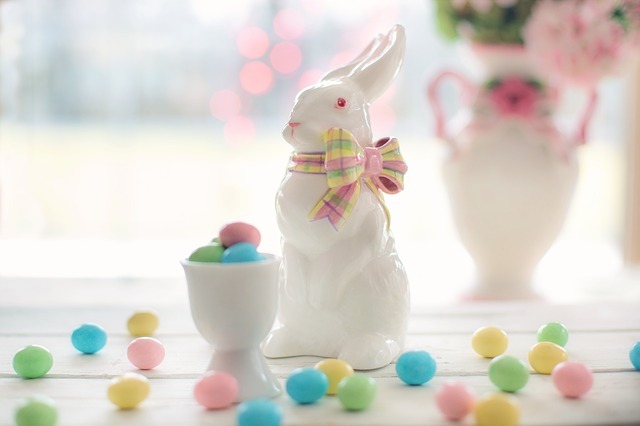 After a quick consultation with our professional London cleaners, we have created a list of 5 important chores you must finish in order to welcome the Easter Bunny in your home. Do not let the dishes pile up. When you are done using something, wash it right away. After using the worktop, wipe it. This way it won’t get sticky and you will remove all food stains. Do not leave sliced fruits or vegetables just sitting outside. It is getting warmer, and food can get easily bad. Paper towels – if you spill liquids, they will absorb them fast. Dusting – You always do it from top to bottom. Never utilise a feather duster and make sure to use a damp cloth when removing dust from wooden surfaces. Hovering – Always do it after you have cleaned everything else. Use your vacuum cleaner’s attachments and remember to empty your hover’s bag regularly. Mopping – This is the last cleaning step. The type of mop and detergents you are using depends on the type of flooring you have. Try to ensure a fresh air flow in the room, so everything will dry off quicker. Instead of buying cheap decorations why not do them yourself? Many fun online ideas would be perfect for a little family time. Why not bake traditional Easter sweets, and you can even try to make your own chocolate eggs. Speaking of eggs, don’t be afraid to experiment and dye your Easter eggs in a variety of colours. Remember Easter is a family holiday and as long as you are with the ones you love, doing the things that make you happy, everything will be perfect.